Loacted in west Norfolk, Brancaster's coastline is considered a place of outstanding natural beauty. It is noted for its wealth of bird life and is a popular place for both birdwatchers and walkers. Brancaster has plenty of holiday accommodation, places to eat and places of interest such as Scolt Head Island. A delightful traditional three-bedroom end of terrace fisherman’s cottage in the centre of Brancaster. The cottage has lots of original features, including flag stone floors and stripped floorboards upstairs. A four-bedroom coastal home, furnished and decorated to the highest standard, 20 minutes’ walk from the beach. The arrangement of rooms and enclosed garden make it ideal for several generations or two families holidaying together. A light and airy contemporary property in Brancaster with upstairs living space, giving views over the salt marshes towards the sea. 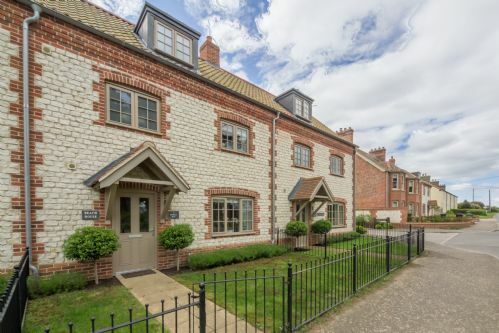 Beautifully styled by the owner, this gorgeous and charming brick and flint cottage was originally the stables to St Mary’s Church and the rectory. Peacefully situated in enchanting private gardens and only a 10 minute walk to the beach. A superb barn style cottage with extremely spacious open plan accommodation standing in its own enclosed grounds and mature garden. 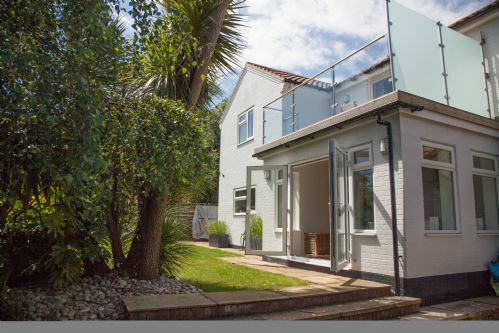 The property is of a very high specification and is ideally located down a private road within walking distance of the beach. As featured in Full House. 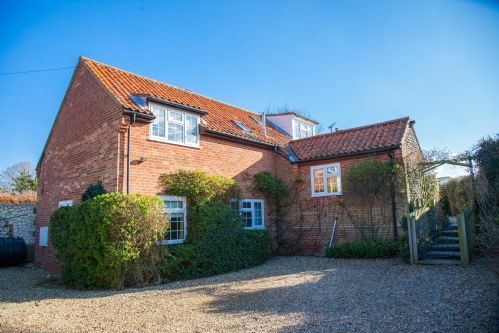 A luxuriously refurbished four-bedroom single storey property in the centre of Brancaster. It’s beautifully and tastefully furnished with lots of features to make the holiday extra special, including a conservatory and enclosed furnished courtyard. The lovely sandy beach is less than a mile away. A four bedroom property that has been remodeled to provide extremely comfortable accommodation, including a lovely garden suite with a double bedroom. The large garden and patio to the rear of the property are ideal for enjoying the summer sunshine. A large family house, traditionally furnished, with accommodation for eleven people. With a sitting room, separate TV room and dining room there is plenty of space for everyone. It has a walled garden which is ideal for children to play in and is within walking distance of the beach. 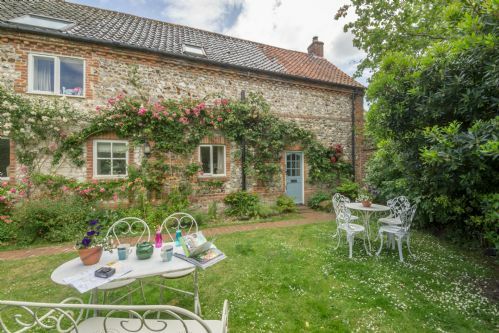 A picturesque 18th century flint cottage in a quiet side road in Brancaster, a 20 minute walk to the beach. The house is thoughtfully furnished with period furniture and artworks. A fabulous contemporary four-bedroom property situated on the beach road in Brancaster near to the golf course and lovely sandy beach. 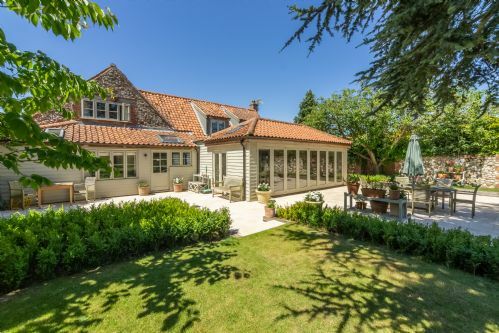 The house is perfectly situated for a relaxing holiday on the beautiful North Norfolk coast. 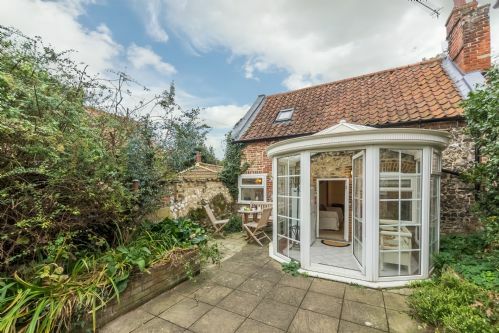 A pretty Norfolk cottage, in a tucked away position in the charming village of Brancaster. This dog friendly property is situated within walking distance to the beach (20 minutes) and just a couple of minutes from The Ship public house and restaurant. 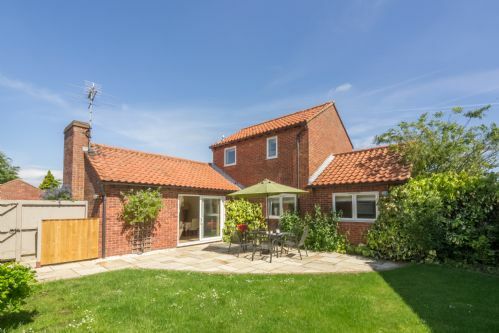 A delightful cottage in a wonderful rural location around 1.5 miles from Brancaster village. It offers comfortable and spacious accommodation with a super south facing garden overlooking open countryside. It’s a perfect retreat for a quiet and relaxing holiday. An immaculate, well equipped three-bedroom home in the centre of Brancaster. It is furnished to a very high standard with all the comforts of home and situated near a play park, The Ship Inn and the marsh path. It has a fully enclosed, furnished garden. 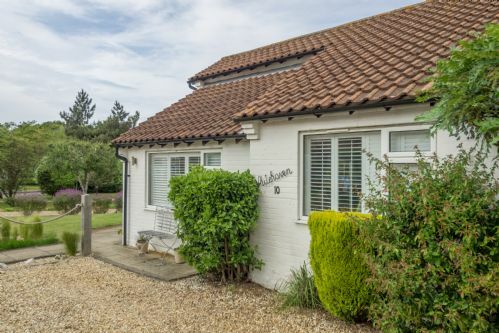 This delightful bungalow situated in a quiet cul-de-sac in the popular village of Brancaster offers light and contemporary accommodation with a fully enclosed garden. 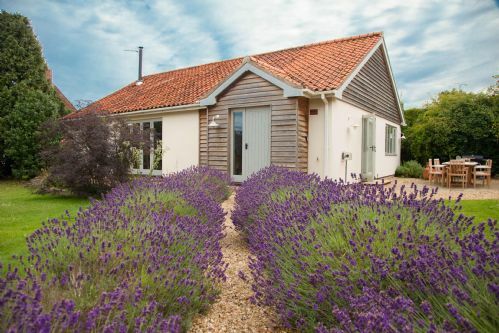 Ideal for one or two couples or a family looking to be close to the beach, the North Norfolk coastal path and Brancaster Staithe sailing harbour. Dog-friendly and child-friendly, it is a great base for a fabulous holiday in North Norfolk, whatever time of year you choose to visit. A wonderful stylish and comfortable four-bedroom beach house located close to the beautiful sandy beaches of Brancaster. 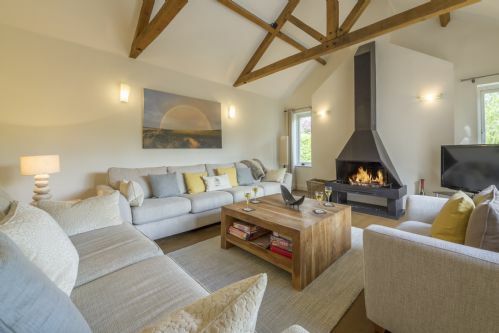 A wonderful light and airy holiday home, perfect for families, friends and entertaining. 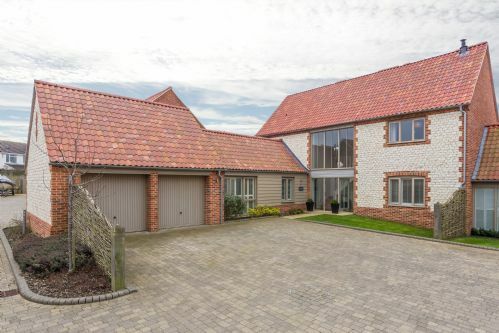 A beautifully furnished and stylish new property a short walk from Brancaster beach. The accommodation is of a very high specification with oak flooring, quality linens and some vintage furnishings. 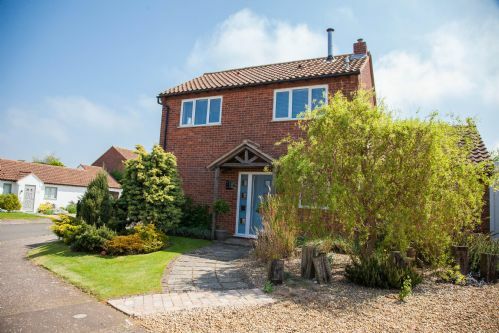 An immaculately presented, contemporary single storey property in central Brancaster, about 20 minutes’ walk from the beach. It has fabulous open-plan living space with a wood burning stove. A wonderfully spacious detached bungalow with a lovely south facing, enclosed dog-friendly garden in a quiet cul-de-sac in Brancaster. With open-plan kitchen/diner, sitting room and three bedrooms there is plenty of room for family and friends to enjoy a superb break within easy reach of beautiful beaches. 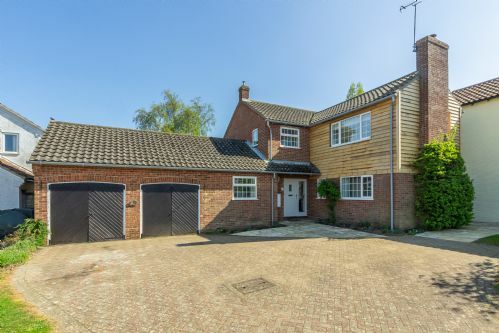 A fabulous four-bedroom detached property off the main coast road in Brancaster. The bedrooms are on two levels giving privacy for two families or for different generations to escape! Brancaster beach is a 20 minutes walk away. Opposite the house is an excellent children's play park. 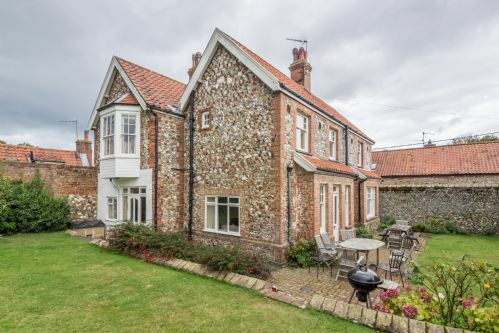 A beautiful period red brick detached family home in the heart of Brancaster. It offers comfortable accommodation for up to 10 people and has a fully enclosed mature garden to the front. The beach at Brancaster is a 15 minute walk from the house. A stylish and comfortable four-bedroom beach house located close to the beautiful sandy beaches of Brancaster. A wonderful light and airy holiday home that has the option to sleep five or nine people. 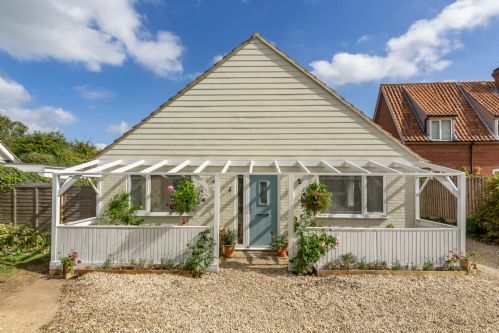 Driftwood Cottage is a wonderful semi-detached modern cottage, beautifully presented and offering open-plan living in the sought after village of Brancaster. 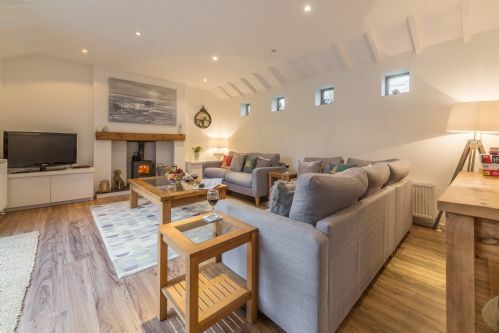 Greyseals is a relaxed contemporary house which has been beautifully renovated throughout. Cool linens, Scandinavian style furniture and a fabulous open plan feel, makes this the perfect retreat to host the whole family or a group of friends. 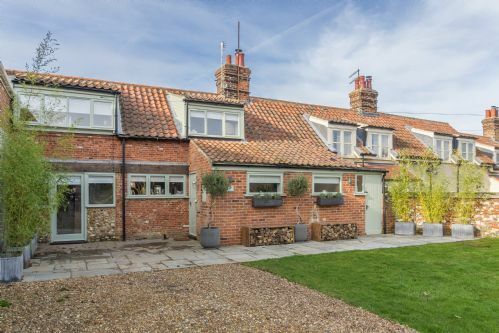 Heavenly Hemingford Cottage is located in the popular coastal village of Brancaster and only a stone's throw from the renowned Ship hotel/pub/restaurant, the fabulous sandy beach and the coastal path. 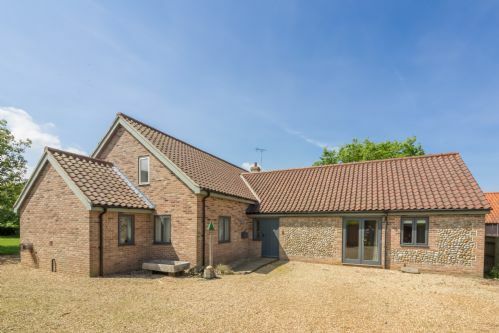 A super family house in central Brancaster, close to both Brancaster Staithe, where you can go sailing, and fabulous wide-open Brancaster beach - there's space to store your boat too. Perfect for sailors! 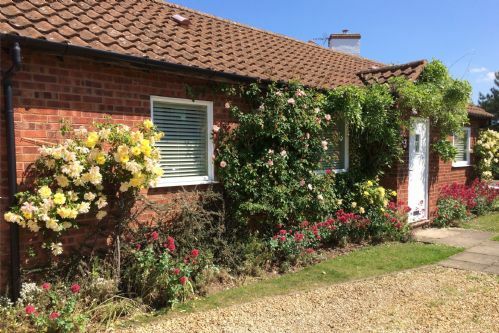 Betty’s Cottage is situated on the beach road in Brancaster, ideal for those who are searching for a great base for a seaside holiday, in easy walking distance of both the sea and pub. 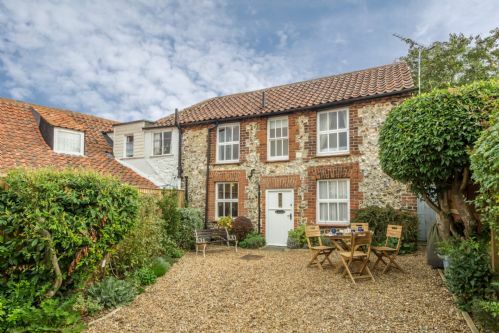 A beautiful, spacious, light and characterful detached property with private annexe situated on a quiet lane in the coastal village of Brancaster. 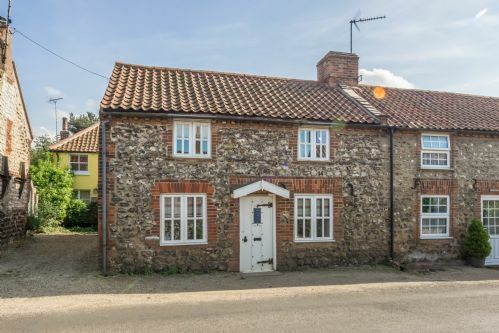 This lovely flint cottage is superbly located; close to the heart of the village with its much-loved pub and within easy walking distance of the sandy beach and Royal West Norfolk Golf Course. A lovely modern cottage, beautifully presented and offering open-plan living. The ground floor is light and airy. 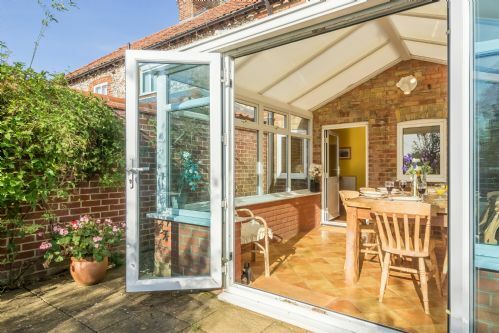 Bi-fold doors open onto the patio and south facing garden. There is a contemporary kitchen with breakfast bar, dining area and two comfy sofas in front of the log burner. 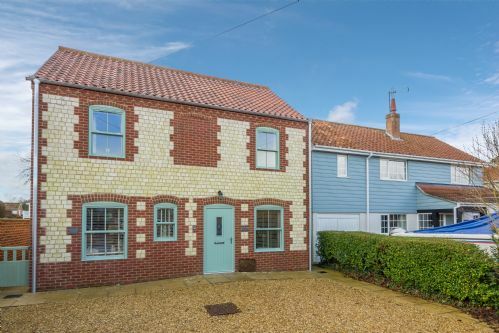 A super brick and flint detached property that has been beautifully refurbished and extended to provide contemporary, comfortable living in a coastal cottage still brimming full of character.